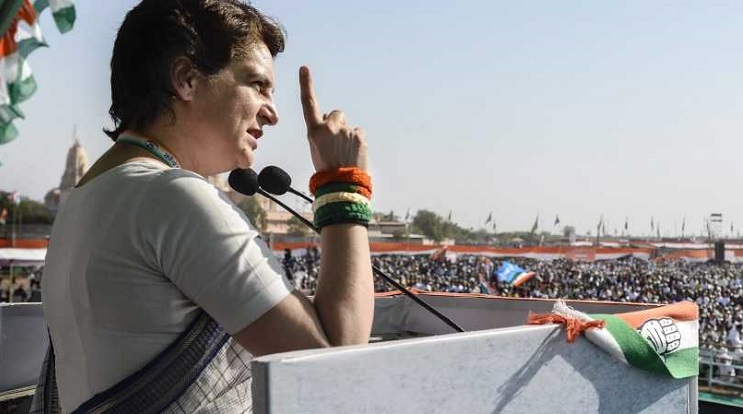 The newest star in India's Nehru-Gandhi dynasty wrapped up a pre-election boat tour along the Ganges river on Wednesday, disembarking in Narendra Modi's home constituency to attack the prime minister's record. Their father was Rajiv Gandhi, assassinated in 1991, their grandmother Indira Gandhi, killed by her Sikh bodyguards in 1984, and their great-grandfather Jawaharlal Nehru, India's first prime minister. Arriving after her three-day cruise in Varanasi, the northern holy city famous for its riverside cremations where Modi stood for election in 2014, Priyanka said people must stand up against his "anti-people" policies. "You can bring about a change. You must raise your voice for a new government who will make policies for you and understand your problems," the 47-year-old said. "The farmers of this country are suffering. He is neck-deep in debt and is committing suicide. He does not get seeds and fertilisers on time, he is not getting the right price for his produce," she added. The opposition has been targeting Modi's right-wing Bharatiya Janata Party (BJP) over a lack of jobs, slowing growth and the desperate situation of farmers in the lead-up to the gargantuan election which ends May 19. The centre-left Congress party, which has ruled India for about half a century since the country became independent in 1947, was thrashed by the BJP five years ago, with Modi promising to create jobs, stamp out corruption, and bring "Achhe Din" ("Good Days"). Modi's party however has been boosted after India and arch-rival Pakistan lurched alarmingly close to war last month following a suicide bombing in Kashmir that killed 40 Indian troops. Priyanka, who for years resisted calls to enter politics, launched her campaign in the northern state of Uttar Pradesh on Monday, hopping on to a motorboat on the Ganges river, which is considered sacred by the country's majority Hindu community. The state is a part of the Hindi "cow belt" heartland of some 475 million people -- nearly as many as the United States, Canada and Mexico combined -- where the BJP has its core support base.